Charles Leclerc says it is an "honour" to be recognised by 2018 world champion and five-time title winner Lewis Hamilton as a potential threat for the 2019 campaign, after the Brit previously mentioned him alongside Max Verstappen as two drivers he is wary of this year. Leclerc impressed for Sauber in his rookie season, so much so that Ferrari made the surprise decision to promote him to the Scuderia at the expense of former world champion, Kimi Raikkonen, who will go in the other direction. 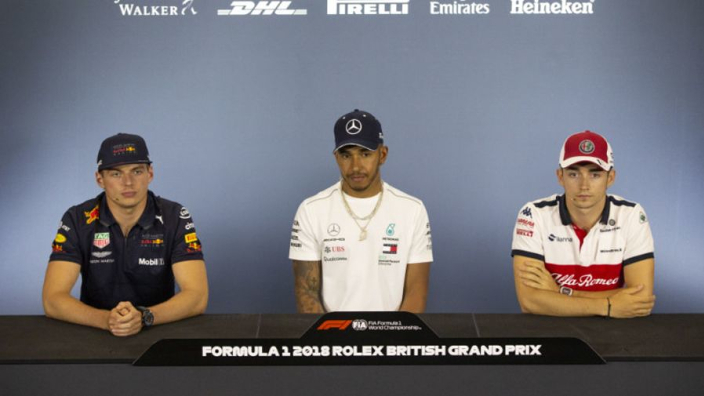 Hamilton, who will be looking to win his sixth championship in 2019, name-dropped Leclerc and Verstappen as threats previously, saying: “You have to dig deep because you have these young kids that are coming. The 21-year-old from Monaco could not hide his pride at being recognised as a competitor alongside Hamilton, whom he praised as an "amazing driver". “It’s definitely an honour to hear that from Lewis,” Leclerc said. “He’s an incredible driver, and I’ve watched him since quite a bit of years before arriving in Formula One.